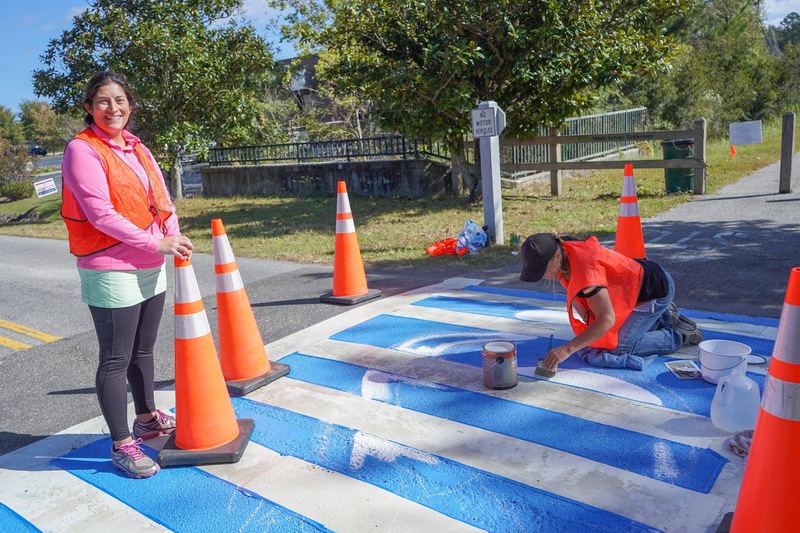 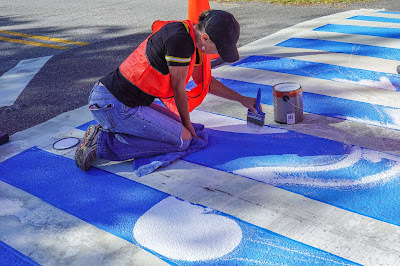 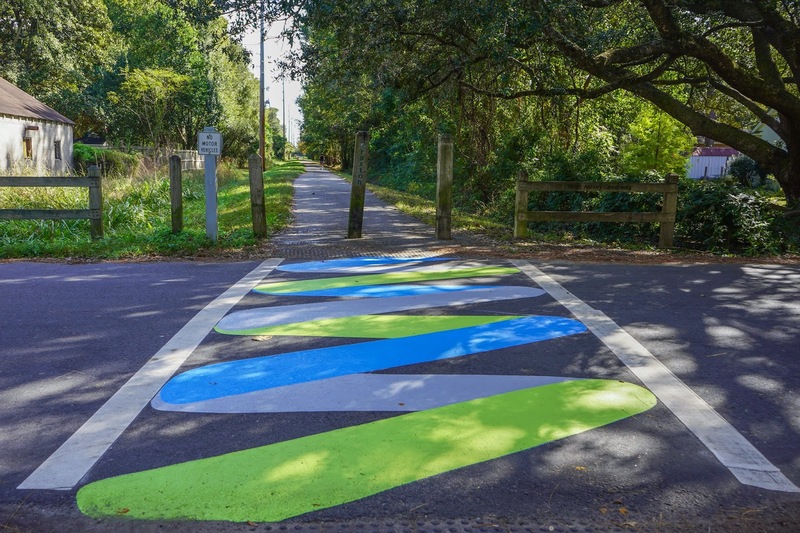 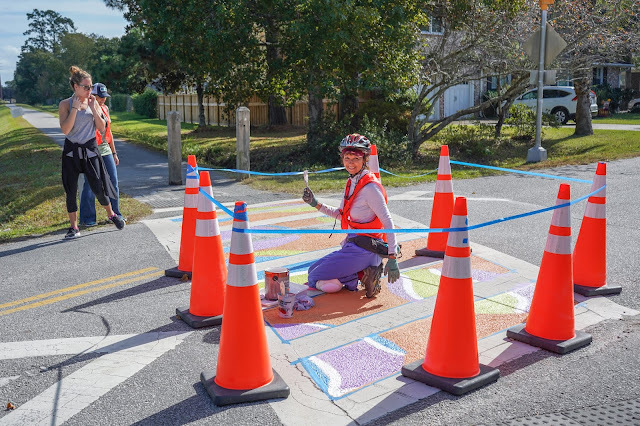 Charleston Moves rallied volunteers to paint colorful designs on intersections of the West Ashley Greenway this weekend. 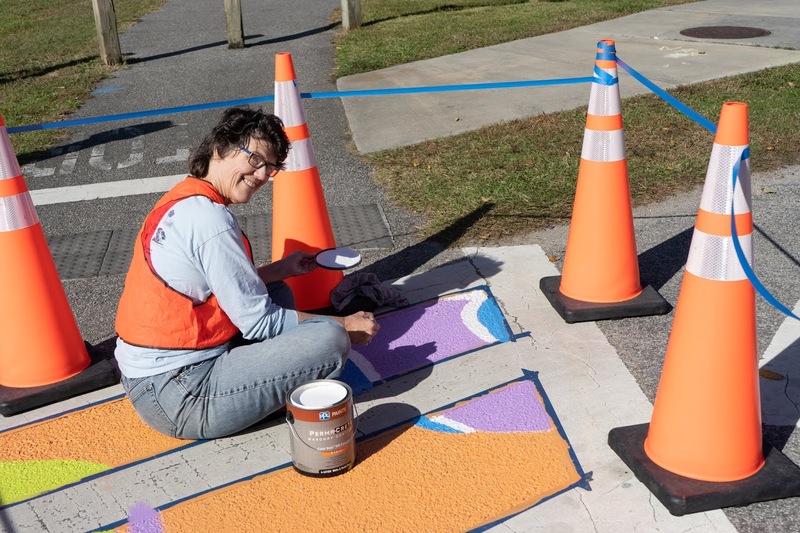 Besides the happy color it is hoped that it will hope slow down motorists. Thank you to everyone involved. I enjoyed a perfect Greenway walk visiting each site.